You may have seen this home in Queensland Homes summer 2014/15 magazine? 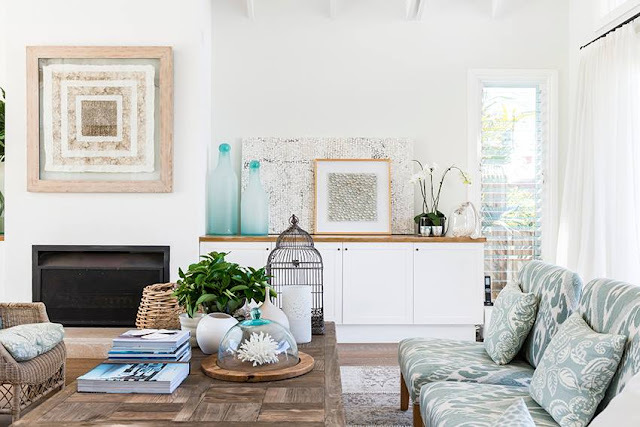 A classic Cape Cod meets Noosa style, this is the home of Kate a talented interior designer of Cove Interiors. 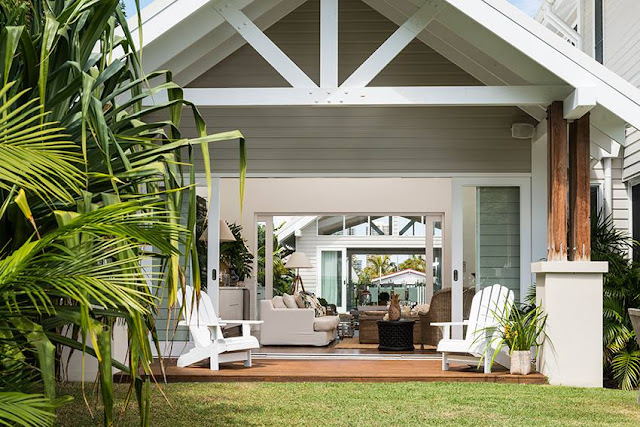 Classic and timeless, this home has been called "The Boat House". 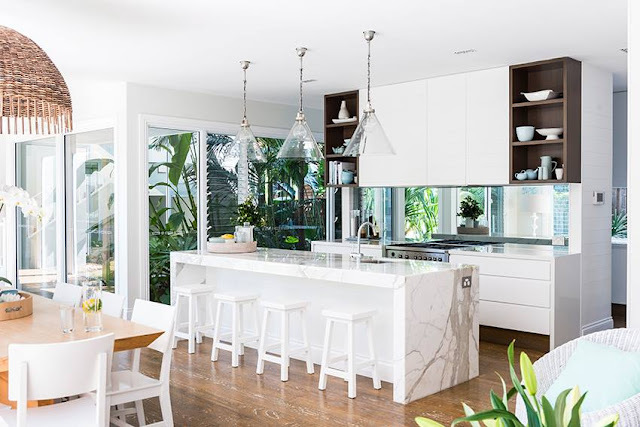 This Gold Coast home was renovated over a 14 month period to turn it into a family home, one that sets the scene for both entertaining and relaxing. High ceilings, natural light, space and the perfect beach house colour palette. There are touches of rustic timber and stone, natural corals and sea green glass. 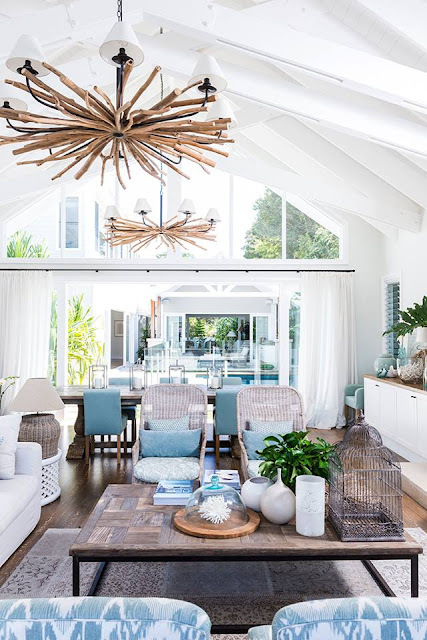 One of my favourite features is the twisted driftwood chandeliers - they are impressive right?! 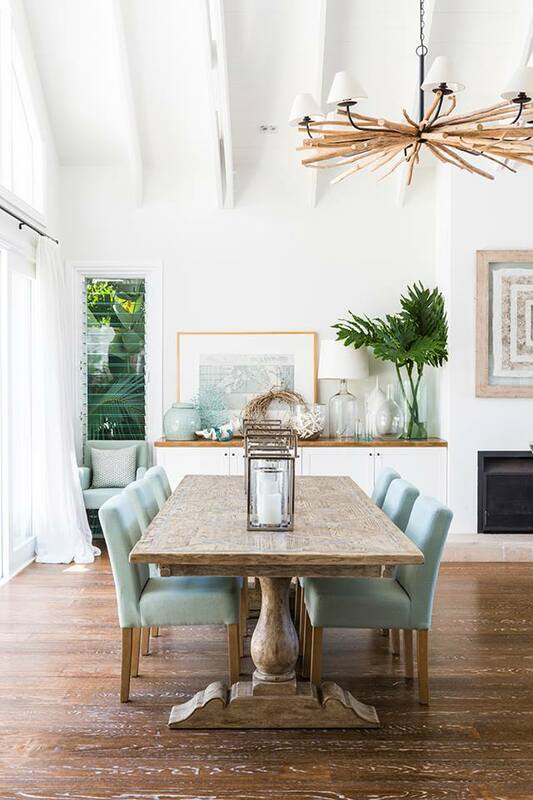 The timber American oak floors which have been stained and lime washed are another standout feature of this home. The feeling of that solid timber would be so beautiful underfoot and really ties the Boat House look together. 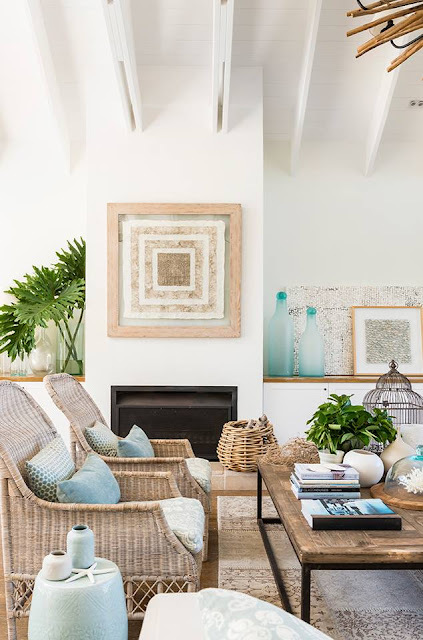 I would describe it as a mix of a beach house, classic Cape Cod, Hamptons with a touch of Noosa. 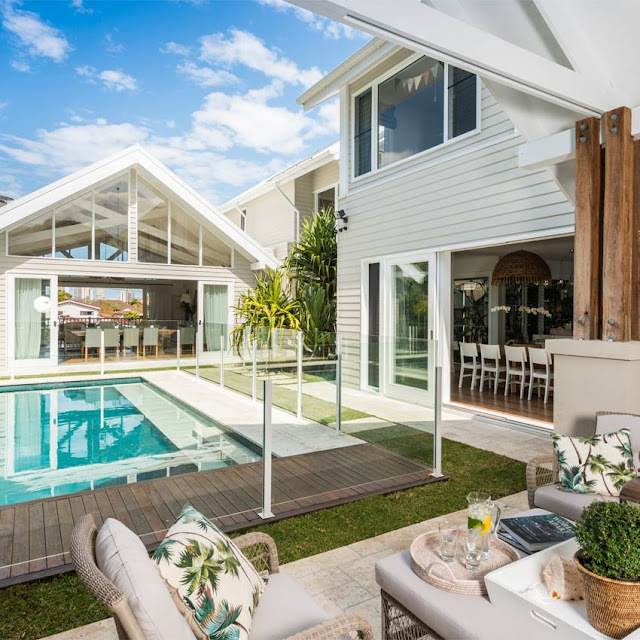 The weatherboard cladding and pavillion open plan style makes me weak at the knees. 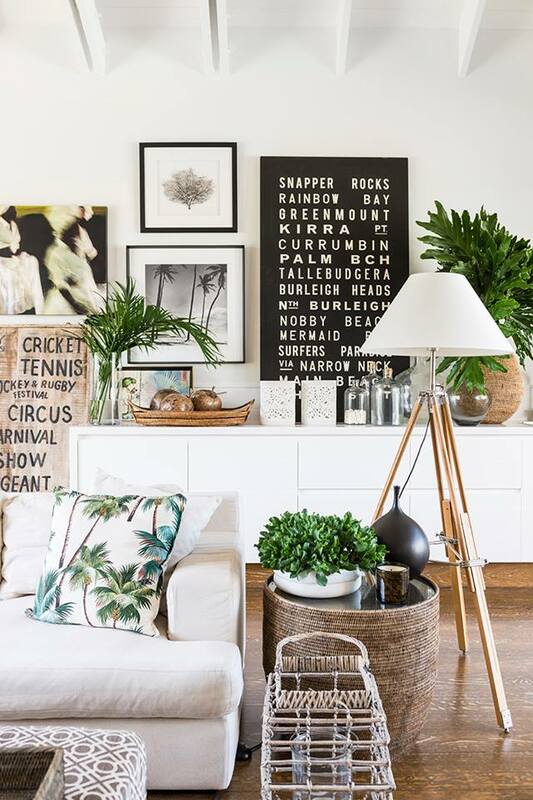 I love the layout and feel of this home. What about you? Do you love the look and feel of this home? 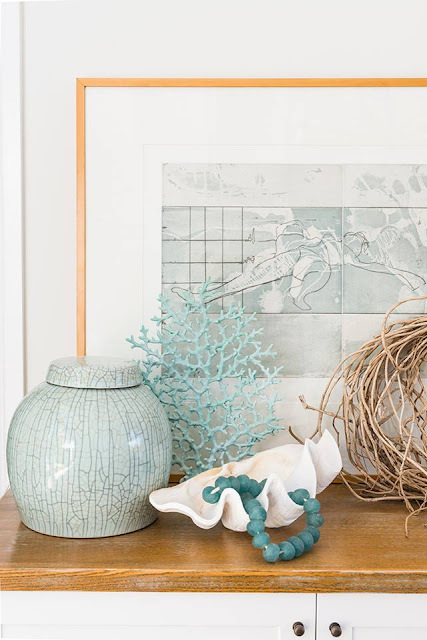 If you loved this home tour, you can see more real homes here. All information from Queensland Homes. Photography by Steve Ryan, Rix Ryan Photography. 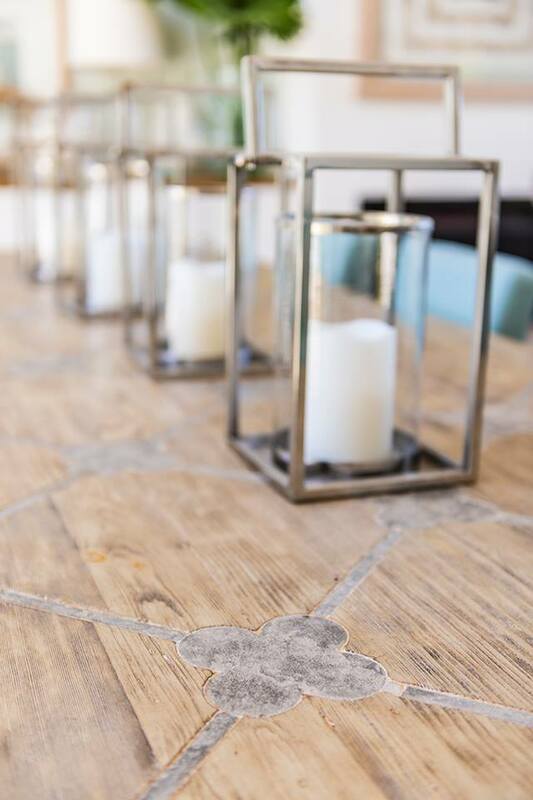 See more of Kate's style at Cove Interiors. Stunning!! I could easily see myself in this house (as long as I wasn't paying for it). I don't think they have a thing that doesn't quite fit. 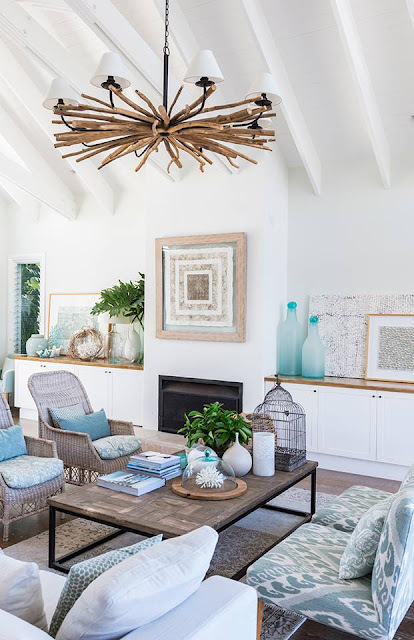 Visit Glamour Coastal Living's profile on Pinterest. Interested in working with me? Sounds fantastic, I love working with brands and creating fabulous content for my readers.